Popular in the 60s and 70s, the iconic shape of the Volkswagon Beetle has been around since the 1930s when Mr. Porsche himself designed it as an economical vehicle for German families. 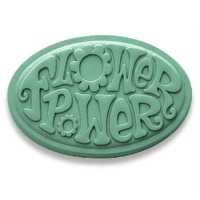 The Guest VW Bug Soap Mold is perfect for hippies, surfer dudes, and Herbie fans. COMMENTS: We wish it was silicone but that is not what we purchased. This is a good example of a bug and my husband is liking it! 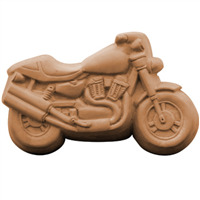 COMMENTS: Bought this mold to make soaps for my son's VOLKSWAGON BUG CAR CLUB fund raiser. They were a HUGE HIT! Even got a custom orders for soaps in custom colors to match the club members own personal little bug cars. Guess I will be making these for each of their fund raiser events as they have already "volunteered" me. 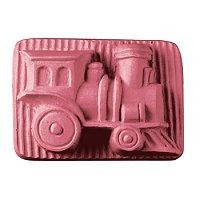 COMMENTS: I adore this soap mold! The soaps come out to just over 2 oz., are fun to use different colors with, and are so,so cute. Customers love them. My only complaint is that the soap can be difficult to release from the molds. COMMENTS: I am not a huge fan of the hard plastic, it is harder to unmold; however, this isn't too difficult and it is very cute. COMMENTS: This is as cute as can be. With all of the molds WSP sells, this is very easy to unmold. A gentle push on the back of the mold and the soap pops out. The mold washes with warm water. Never put in the dish washer or very hot water. I sterilize all of my molds with alcohol after and before use to make sure I have clean product. COMMENTS: This makes an adorable soap that easily pops out of the mold. I recommend putting the mold on the fridge as the soap dries to make it easier to get the soap out of the mold. "What is the finished products size and weight for this mold? Are they 1 oz guest bars?" Staff Answer The finished soap measures approx. 3.75" x 2.125" x 1.25" and weighs about 2.5 oz. "Is there one cavity per mold? Thank you. " Staff Answer The VW Bug Car Soap Mold (MW 170) has 4 single cavities per mold.